HP Business Buys. Real value, true mobility. Outstanding value buys for your business. Amazing performance happens with intel inside. 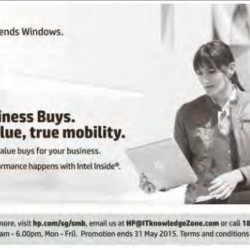 Hp brings you business Laptop and PC: HP Elite x2 1011 Tablet @ $2,599 and HP pro x2 612 Tablet.